Proud to be an American …… Everyday! Barry Bonds ~ A Human Interest Story. Thanks for indulging me one more time. But I consider this a human interest story and I hope you’re not getting tired about the all-too-familiar incident involving Bryan Stow, the Giants fan who took a severe beating in the parking lot after a Dodger game at Dodger Stadium. And you’ve probably heard that the family is suing the Los Angeles Dodgers to recoup their medical and out-of-pocket medical expenses. The litigation story saddened me. Not because they’re probably entitled to some compensation, but because of the ever-growing litigious nature of our society. But here’s the upside to this story. I just learned today that Bryan’s family plans to return any proceeds from a lawsuit, back to those who generously contributed to help Bryan with his expenses in the first place. Whether that’s necessary or not I don’t know, but people are usually very generous when they feel they’re contributing to a worthwhile cause. I personally feel the gift benefits the donor as much as the donee. That being said, another aspect of the story surfaced today when the attorney for the Stow family announced a Scholarship has been established for Bryan Stow’s children to fund their college education. The scholarship is being funded by Barry Bonds. No matter what you might think of Barry Bonds, this is a good thing! Of course, you can continue to think whatever you’d like about Barry personally, you know, “he can afford it, it’s just for publicity”, that type of thing; that’s your prerogative. This is just one blogger’s opinion. The article in this morning’s headlines is listed below. Barry Bonds was known as a surly, rude, and irritable player during his career. It was so bad that even his own teammates supposedly wanted him to get hit by pitches. But Bonds seems to have changed since he’s retired. We’ve heard many media members and people say that he’s mellowed out and become a nicer guy, and that seemed to be confirmed when we heard he went to visit Bryan Stow’s family in the hospital shortly after the beating. Now we’re learning another detail that makes Bonds look even better. In an interview with NBC LA, the lawyer representing the Stow family in their suit against the Dodgers says the family plans to give back donations if they win the suit. Attorney Thomas Girardi also revealed that the family plans on keeping one gift: a college scholarship donated by Barry Bonds for Stow’s children. Girardi told LBS he wasn’t sure how much the donation involved, but that he knows Bonds set up the scholarships for the children. Stow is a single father of two children and Bonds already reportedly gave them a signed glove and bat in the hospital. Now he’s paying for them to attend college? He sure has changed, and he is making some great use of his time while he awaits a hearing in his perjury trial. Well done Barry, very well done. Suspected Attacker in Bryan Stow Case taken into Custody sources say. 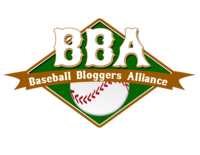 This is an UPDATE to GFBB’s Blog “A DODGER FAN” April 2, 2011. A man suspected of being one of the two assailants in the brutal beating of Giants fan Bryan Stow at Dodger Stadium was taken into custody early this morning, Los Angeles police sources say. At about 7 a.m., the Los Angeles Police Department SWAT team descended on an East Hollywood apartment building with a warrant in hand. According to apartment building manager Maritza Camacho, police, using loudspeakers and with guns drawn, called out to the occupants of Apartment 25. Inside was one of the men police suspect in the March 31 beating that left Stow with brain damage. As residents of the three-story building stood watching from balconies, police removed, one by one, the people who were inside the apartment, according to Camacho. Among them was a man with a bald head and tattoos on his neck and arms, she said, a description that appeared to match the vague sketches released by police of one of the two suspects. She added that he did not appear to resist being taken into custody. Several police sources confirmed that the man taken into custody was one of the two suspects in the beating. Police officials declined to give details, including the name of the suspect, saying only that the investigation was ongoing. Bryan Stow, 42, a father of two, was walking through the Dodger Stadium parking lot with two friends after the Dodgers’ opening-day victory over San Francisco when he was brutally assaulted. Stow, who lives in Santa Cruz and worked as a paramedic in Santa Clara, was wearing Giants apparel, police said, and two young men began taunting him. One of the assailants blindsided Stow with blows to the back and head, police said. The two assailants repeatedly kicked and punched Stow while he was on the ground. Stow’s friends attempted to help, and were also punched and kicked before the attackers fled in a car driven by a woman wearing an Andre Ethier jersey. Police said it appeared there also was a 10-year-old boy in the car. As more time passed without an arrest, the reward fund grew to more than $200,000, and the suspects’ sketches were plastered on about 200 billboards around the L.A. area. Camacho said that the man taken into custody Sunday morning had not been a longtime resident of the East Hollywood apartment building, but she had begun to see him coming and going in the last few months. Stow remains in critical condition at San Francisco General Hospital, where he was moved last week from County-USC Medical Center in Los Angeles. 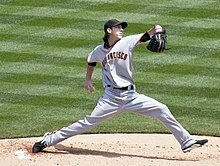 Doctors in San Francisco told reporters Stow had opened his eyes but that his long-term recovery was far from certain. The incident has brought scrutiny and negative media attention to the Dodgers, who are also in the midst of an ownership battle. Owner Frank McCourt is struggling to meet payroll, prompting Major League Baseball to seize all business and day-to-day operations of the team. Despite a significantly increased police presence, attendance has lagged. At Wednesday’s game against the Giants — the rival team’s first visit back since the opening series — paid attendance was 30,421. Although that was the number of tickets sold, the 56,000-seat stadium was clearly more than half empty. The last time the Dodgers sold fewer tickets for a home game against the Giants was June 4, 1997, when they sold 30,357. MLB Standings vs MLB Payrolls …. How do they measure? Okay, so we’re maybe 25% through the 2011 Major League Baseball Season. How is your team doing? How is your team doing in relation to their total payroll? In other words, are they getting what they paid for? Here’s an interesting article published by Hayes & Taylor recently. I’m always amazed at the amount of work some of these guys put into their daily blogs; I mean who has time for this stuff? In any event, this is a great chart and one of the better blogs and I wanted to share it with you. “The Cleveland Indians are in first place in the AL Central. They have the fifth lowest payroll in all of baseball. Which got me thinking, how do the other teams in the MLB rank in the standings relative to their payroll. It turns out that the Indians aren’t even the best example right now. The Tampa Bay Rays have the second lowest payroll in the majors. The are currently in first place in the power packed AL East. Ahead of the number one payroll in baseball the Yankees, the number three payroll in Boston and numbers 19 and 24 in Baltimore and Toronto. The Royals, Marlins and A’s are all over .500, and are all in the bottom ten payrolls in the league. Not to mention all are very alive in the playoff races. If the season ended today, four of the eight playoff teams would come from the bottom eleven in payroll (Rays, Indians, Marlins, Reds). On the other side, only three would be coming from the top eight in payroll (Angels, Phillies and Giants). What does this all mean? Talent wins in baseball and not always how much you pay for that talent. If money was how you win, the Yankees would win every year, but they don’t. That makes me very happy. I love to see underdogs win. I love the fact that some of the lower payroll teams won’t be trading away all of their talent this season to teams who will pay whatever it takes. Baseball is stronger than ever right now. Cleveland Indian Fans ….. Fair Weather? Not Even! Jacobs Field is one of the most beautiful ballparks in America. It sits spectacularly in the middle of downtown Cleveland, surrounded by high-rise buildings and, of all things, Quicken Loans Arena, home to the Cleveland Cavaliers. It’s within walking distance to the Cleveland Rock and Roll Hall of Fame, where I was once given a T-shirt with the words “If I can hear it, it’s too loud!” by my 13-year-old grandson. 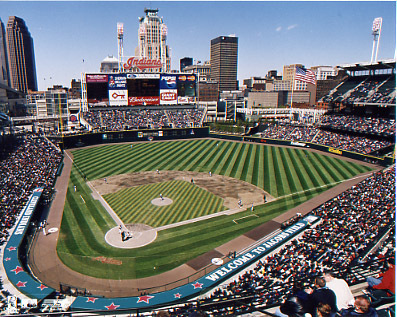 This was during the 2004 Baseball Tour we took that included a Cleveland Indians game at Jacobs Field. We arrived at the ballpark early and walked around the stadium taking pictures and enjoying the fantastic views of the skyline and other parts of the city, from inside the stadium. The design of the stadium gives you an intimate feeling of a small ballpark because every seat is a great seat and you’re almost on top of the field no matter where you’re sitting. I mention all of this because, back in 2004, I remember mentioning to Dan Lindsey, Diamond Baseball Tours owner, what a shame it was to have this spectacular ballpark and no one’s there. This was a day game in the middle of June, and the weather was beautiful, and still, where’s the fans? And this was back in 2004, when attendance was still relatively good. I mention this because today the Cleveland Indians have the best record in Major League Baseball. Well, okay, they’re tied with the Phillies, but still. And they’ve maintained this standing from almost the beginning of opening day. For the past two years they’ve finished 4th in their division, but not this year. This year they’re all by themselves at the top. And still ….. no fans! Cleveland is a diverse sports town. They have it all; Baseball, Football, Basketball, Hockey, Soccer. Could it be that they’re probably the smallest city to host three professional sports franchises and, therefore, are not able to sustain them? But a lot of cities have this same mix and are able to bring the fans to the ballpark. 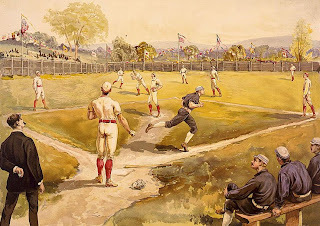 Baseball, in general, is thriving throughout the rest of the country. You don’t have to convince the rest of us. You just have to convince the fans. Pink Bats ….. a Performance Enhancer? You Decide! Louisville Slugger "Pink Bats for Mother's Day"! Occasionally I’ll find an article so unique I’m tempted to “plagiarise”! This is one of those articles, but reprinted with permission from a really hard-working blogger who went to an amazing amount of work to produce this delightful piece for all of us! Thanks to Mike Clair at Old Time Family Baseball for sharing this. “There’s something wonderful about seeing a group of men finally stop the macho act and swing pink bats in honor of their mothers and to help the fight against breast cancer. (Plus, baseball players can finally realize how well pink complements their skin tones.) In lieu of a full game recap for the Mother’s Day games, I thought I would collect a master list of the players who did or did not use pink bats and finally see if ones love for their mother is a performance enhancer. This does not take into account players wearing pink accessories, only their bats. I counted the starting nine on each team, so any pink-bat-swinging pinch-hitters or late-game substitutions have been left out. I used MLB.tv footage as my guide, so if I couldn’t tell the color of a players bat, I considered it a non-pink bat. Some players like Brian Roberts appeared to have a a little bit of pink of around the handle of the bat, but because it was so pale and hard to identify, they were left out. Due to a lack of a variety of things, time being among them, I have only used hits, at-bats, home runs, RBI, and runs scored as my guide. Sorry, my sabermetric brethren, maybe next year. I’m only one man, so any updates or corrections can be sent here or left in the comments. Pink batters clearly did better, hitting nearly 70 points higher than their non-pink counterparts. Pink batters also homered once ever 45.67 AB compared to 47.83 for people who don’t love their mothers. 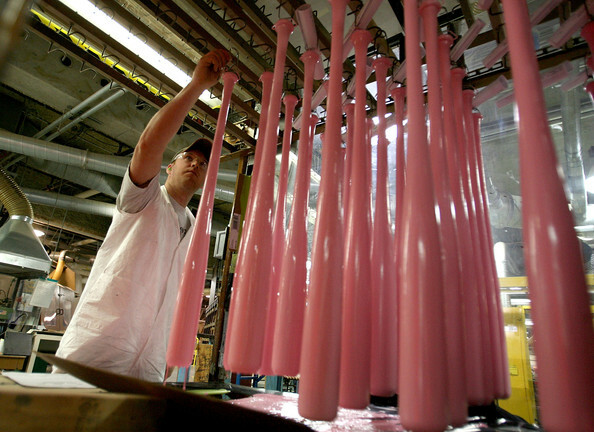 187 of the 270 starters used pink bats, good for 69% of the Major League population. Neither Hairston brother swung a pink bat. Derek Jeter and A-Rod didn’t use pink bats. Alex Rodriguez clearly hates mothers while Derek Jeter didn’t want to detract attention from breast cancer survivors. Yorvit Torrealba used a bat with a black handle and pink barrel, the only player I noticed with such a combination. Rockies starters who didn’t swing pink sticks? They went 0-17. Love your mothers, fellas. Click here for individual team and player info. Coco Crisp …. One for the Birds? Coco Crisp is making some waves in Oakland….the good kind. Remember my “Hazards at the Ballpark” blog back in August? This could be considered an “update” to that blog. The A’s won the game. You can read about it here . Good article this morning written by John Shea in the SF Chronicle.